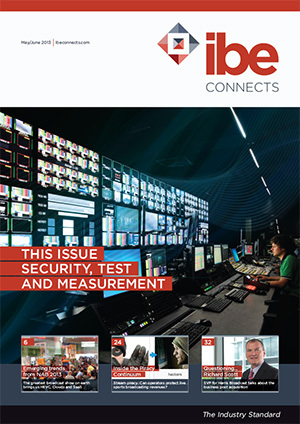 The latest issue of IBE Magazine is now available to subscribers. It examines security, test and measurement which are all topics that are increasingly important to broadcasters moving away from traditional linear and analog platforms to running hybrid environments. In this issue I compiled a summary of the latest technology trends driving the industry at the world-renowned NAB show, the world’s biggest electronic media event which took place in Las Vegas during the month of April. This year’s show saw over 90,000 visitors from over 150 countries pace the halls of the LVCC. Major show trends included the expansion of 4k into the broadcast workflow and the very early rise of cloud in the industry. In this issue I review how both are gaining momentum this year.